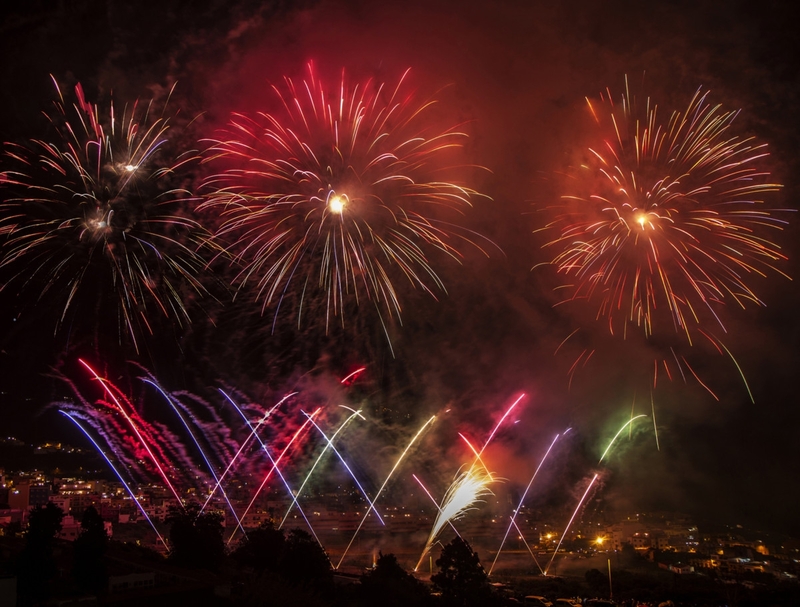 Undeniably the main event of the month long 'Cruces y Fuegos' fiesta in Los Realejos is the notorious fireworks display in Los Realejos - granted National Tourist Interest status and considered one of the best in Spain. The fireworks display is actually an age old 'amicable rivalry' between the two neighbourhoods located on the streets of Calle Sol and Calle El Medio Arriba. This annual explosive competition between the two neighbourhoods is called “El Pique”. Amidst the flashing and the thundering of fireworks overhead, the 'Procesión de La Cruz' winds through the streets. If you can't get here to see the fireworks display, you can visit La Oratava's Townhall Facebook Page which will be broadcasting it live. The fireworks are made by the only firework manufacturers in the islands; Pirotecnia Hermanos Toste SL in Los Realejos, who started in 1788.